Industrie 4.0 cannot be implemented without an integrated secure and highly available communication technology. 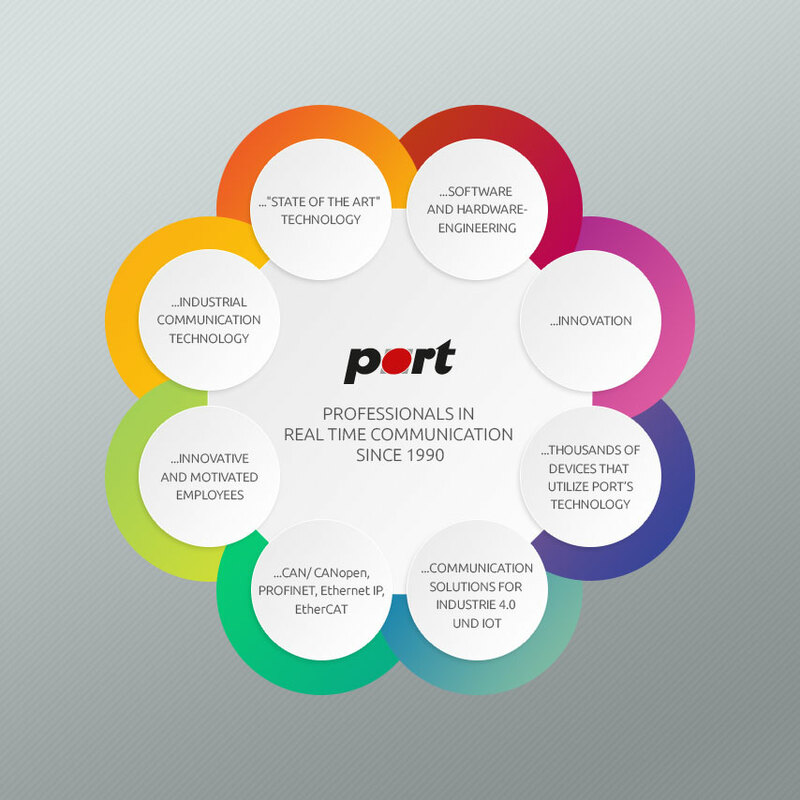 In the field of real-time communication between sensors, actuators and PLCs, port GmbH offers state of the art technology. With innovative products and ideas, we make Industrie 4.0 and IoT available for all types of industrial applications. We work semiconductor independent, so that the user can determine the perfect matching semiconductor for its application. In only 5 years we have grown from 6 to 20 employees and the market potential is still and fast growing. The local area of Halle / Leipzig offers plenty of young, innovative and creative resources, universities and colleges and a very attractive environment for academics and engineers. If you want to participate in an Industrie 4.0 success story, then we offer investors, Venture Capital and investment companies various options of participation. If interested, please contact us via Email: "Investor Relations”.